How to choose a small boring machine_新闻中心_Xinxiang Lantu Machinery Co., Ltd. 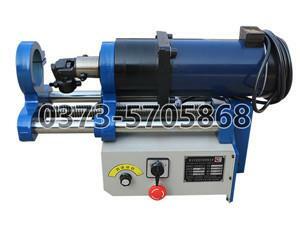 The development of small-sized boring machines is closely related to the development of the national economy. It is an important pillar industry for the development of the national economy. It plays a huge role in the construction of new towns in some relatively important projects. In recent years, China's construction machinery industry has achieved fruitful results. A large number of construction machinery manufacturers, such as Sany Heavy Industry, Xugong, and Zhonglian Heavy Industry, have seen tremendous growth in market visibility and market share. See the scene of engineering machinery work. The development of small boring machine has driven the prosperity of the maintenance market. A large part of the group has invested in the engineering machinery maintenance industry. The market demand for small mechanical boring machines is huge, and workers must first sharpen their tools. Choosing a suitable boring machine in many engineering machinery boring machine products is a difficult problem in the face.